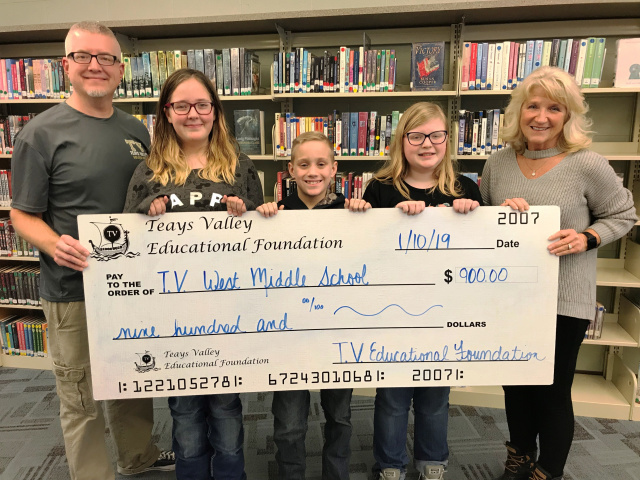 ASHVILLE – The Teays Valley Educational Foundation awarded a $900 grant to the Teays Valley West Middle School library to purchase alternate seating options. “This new seating is very beneficial for the students and staff. Students are able to use the seating options to fit their learning needs and are able to collaborate more effectively. The new furniture is helping the library become an even more welcoming, safe and fun place for students to learn and express themselves,” West sixth grade teacher Erica Neal said.